Women of Distinction Raffle Tickets on sale now! 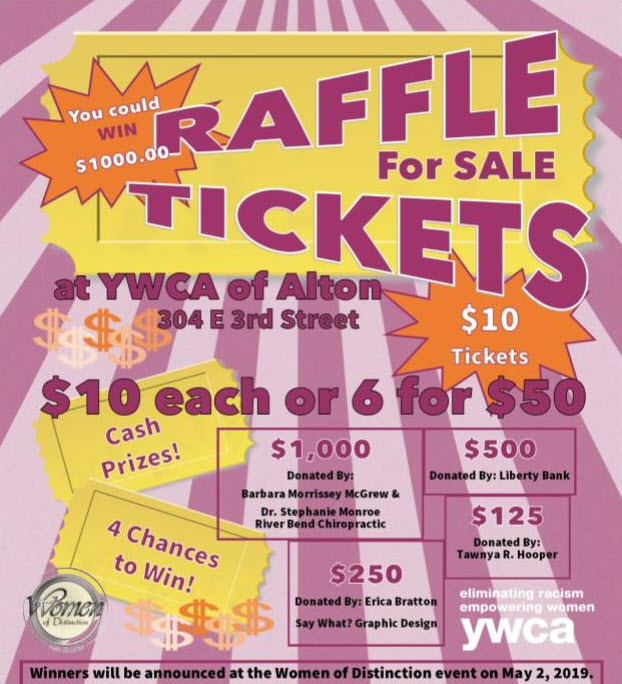 Proceeds benefit YWCA of Alton programs to eliminate racism and empower women. Each ticket is $10.00 or 6 for $50.00, the odds are in your favor with 4 chances to win cash prizes! Raffle ticket winners will be announced on Thursday May 2, 2019 at the annual Women of Distinction Dinner. The dinner will celebrate the Women of Distinction honorees. You do not need to be present to win.